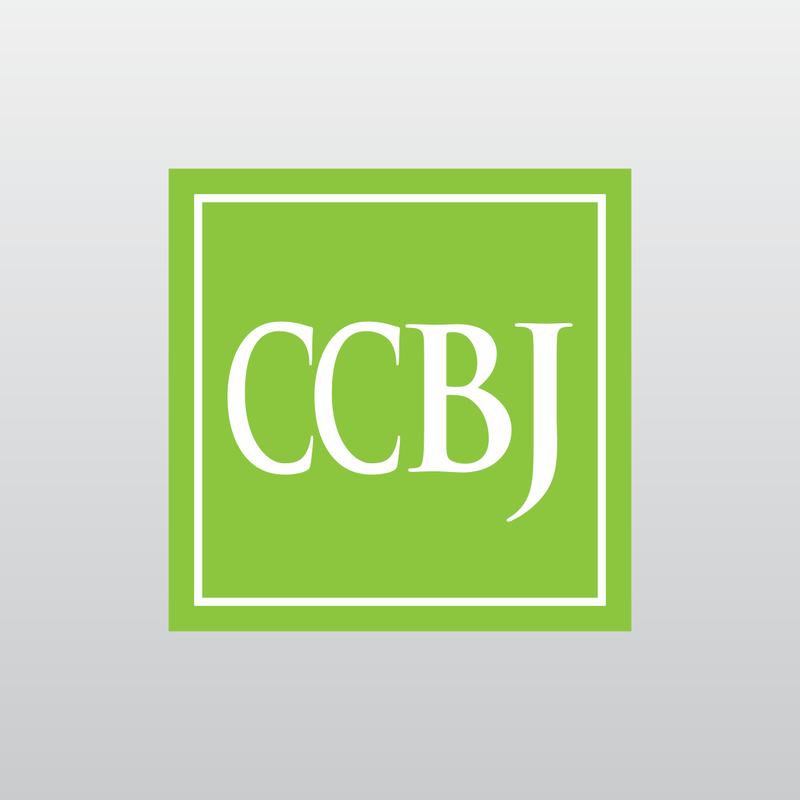 CCBJ reveals its 9th annual CCBJ Business Achievement Awards recognizing 28 outstanding climate change projects and companies. 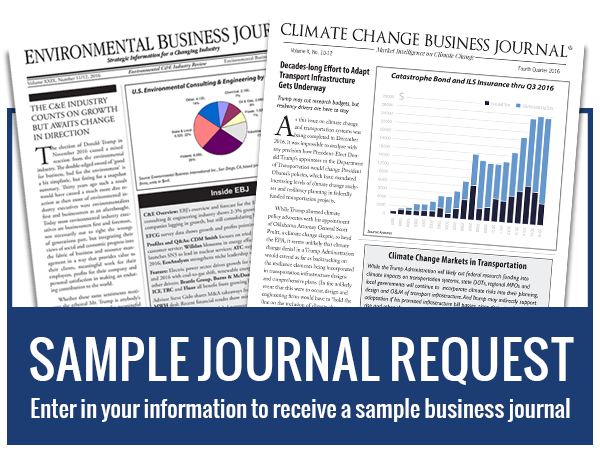 Executive articles and Q&As highlight expectations from the Trump Administration, key markets, business drivers in climate change, adaptation and resiliency and how technology, information and data is supporting decision-making and project management. 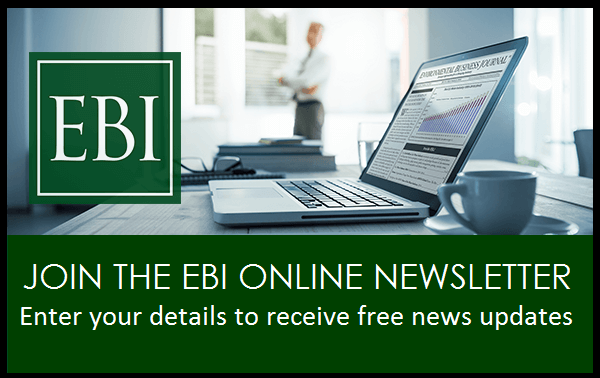 EBI has also published its Climate Change Adaptation & Resilience Markets Report which focuses on the U.S. climate change industry and its nine business segments, emerging markets in resilience and prospects for global growth. The U.S. climate change industry is still emerging, led by consulting & engineering firms doing assessment, risk science, modeling and planning work. CCBJ estimates that adaptation is a $700-million industry and will grow to a billion-dollar industry in the United States by 2020, followed by more substantial contracting growth once design and construction of adaptation measures begin in earnest. The global market already is on the order of $2 billion when counting construction, but the market is clearly divided by assessment, planning, design and construction and specialists in each area. Please visit our Climate Change Adaptation & Resilience Markets Report page for more information.